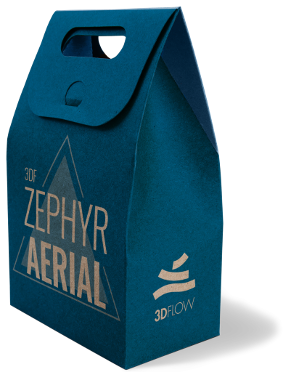 Get your Free 3DF Zephyr Aerial education key here! Please apply here for a 3DF Zephyr 30 days education license. Inquiries must be made using your school, company and/or institutional email address. What is 3DF Zephyr Education ? 3DF Zephyr Education is a specific edition for teachers and students: same features, different license. With 3DF Zephyr Education commercial purposes are not allowed, while teaching, students project or thesis are strongly encouraged. Universities, schools and private schools can get a free license as well for the teacher when the course focuses on Zephyr usage. Students and teachers can get a time limited license completely for free. Temporary licenses can last up to three months and are constrained to a specific class. Time extension can be discussed on a case by case scenario. Temporary licenses for students and teachers are provided with active Education keys only. Interested in installing Zephyr in your lab? Do you need 3DF Zephyr to be installed on multiple computers at the same time (e.g. laboratory scenario)? Contact us at support@3dflow.net to get our best offer. How do I apply for an education License ? Just contact us (from your institutional email address) at support@3dflow.net and tell us about your project/course or fill in this form! We’ll take it from there!